JW Marriott, part of Marriott International, Inc., today announced the opening of JW Marriott Hotel Harbin River North. Situated in the heart of the bustling Harbin Songbei district, the hotel marks an exciting milestone for the brand as the first JW Marriott property in Northeast China. 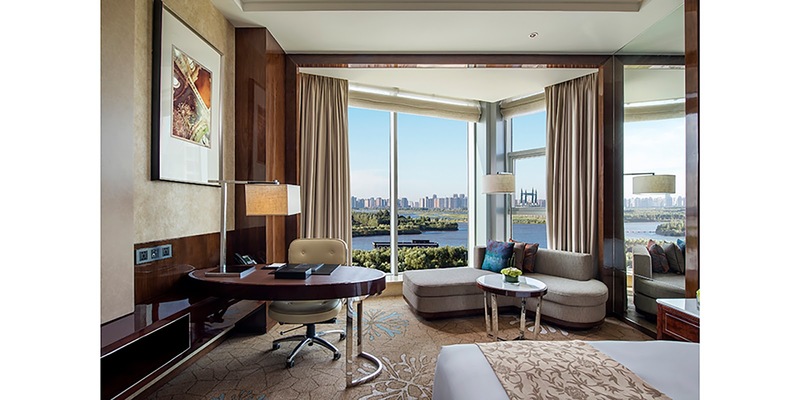 JW Marriott Hotel Harbin River North introduces an elevated standard of luxury into the city’s vibrant business centre, which features a myriad of celebrated tourist attractions including Jinhewan Wetland Park, Harbin Ice-Snow World, Siberian Tiger Park, the Harbin Grand Theatre and more. “We are thrilled to officially introduce the first property of JW Marriott brand to this vibrant city and look forward to offering guests an authentic experience both befitting of the city and true to the JW Marriott legacy “said Brandon Chee, Hotel Manager of JW Marriott Hotel Harbin River North. -- -- -- .